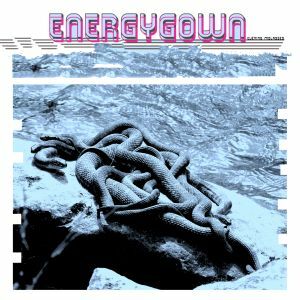 ENERGY GOWN’s Evening Molasses is a warped and sweltering concoction of lysergic psychedelic rock, offering a deeply pensive and challenging bunch of material that will keep you guessing while your head spins, all at once. This debut record is a technicolor journey of psychedelic wonderment, where 10 seething tracks take on a slew of weird shapes and sizes. Evening Molasses becomes a breath of fresh, metallic-flavored air, with the band channeling and executing their psychedelic pop (we’d be lucky to get away with calling it that) in ways you hadn’t previously thought possible. They start out bold and wobbly – opener “One Whig” is already tripping over itself from the get-go. Deep bass trudges through the mud, creating a wet, slippery environment under a crusty layer of guitar fuzz. “Overflow for Being Grown” marks the start of their space rock voyage, riding on an infectious groove created by slinky bass lines and fried guitar laser beams. Upon returning from space, they drop us in the sweltering desert of “Free Dose.” A lysergic burst of guitar pulsates steadily as the hypnotizing bass line holds it all together. “Port Man Tow” darkens the tone slightly, plagued by rattlesnake rhythms and jungle-esque percussion. “Pitch Drops on the Atmos Clock” sends us back into deep space, led by the robotic vocals of singer/guitarist Reno Squonk. “Day Man” opens with a tinny crunch of guitar, backed once again by the gooey bass lines of E.B. Rivera. The track morphs into a trippy dirge, complete with careening guitar racket woven through a jarring solo. If that doesn’t paint a picture, these songs should do the trick. Then of course, you can cop the LP right here. BUY the LP on Bandcamp – purple-splatter vinyl looks pretty! 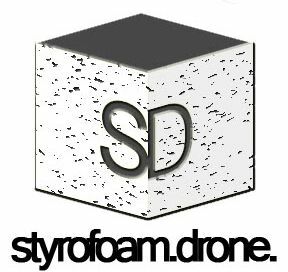 Posted on December 16, 2014 December 16, 2014 by styrofoamdronePosted in LP, Reviews, Still Spinnin'Tagged Alona's Dream Records, Energy Gown, Evening Molasses, Lo-Fi, noise rock, psychedelic, space rock.